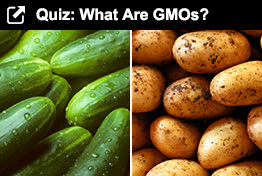 WSJ: Food companies begin to “jettison” GMO foods (genetically modified). Outstanding! We are finally making progress in the war on GMO’s (illegal in France). 30% of our population doesn’t want to eat them… That ECONOMIC POWER!!! Monsanto – do you hear this??? Now an intensifying campaign, spearheaded by consumer and environmental advocacy groups likeGreen America, is causing a small but growing number of mainstream food makers to jettison genetically modified organisms, or GMOs. In addition to Ben & Jerry’s, a subsidiary of UnileverULVR.LN -0.31% PLC, General Mills Inc.GIS +0.08% this year started selling its original flavor Cheerios without GMOs.Post Holdings Inc. took the GMOs out ofGrape-Nuts. Boulder Brands Inc.BDBD -1.70% ‘s Smart Balance has converted to non-GMO for its line of margarine and other spreads. Chipotle Mexican Grill Inc. CMG -0.63% is switching to non-GMO corn tortillas. Grass roots campaigns in several states are pushing for mandatory labeling of foods with GMOs—something most food companies staunchly oppose. In May, Vermont adopted the first state law requiring companies to label GMO foods, starting in 2016. The anti-GMO backlash reflects the deep skepticism that has taken root among many U.S. consumers toward the food industry and, in particular, its use of technology. Similar criticism has roiled other food ingredients including artificial sweeteners and finely textured beef, the treated meat product that critics dubbed “pink slime.” The Web and social media have enabled consumer suspicions in such matters to coalesce into powerful movements that are forcing companies to respond. ← WSJ: IBM’s new chip works like your brain!